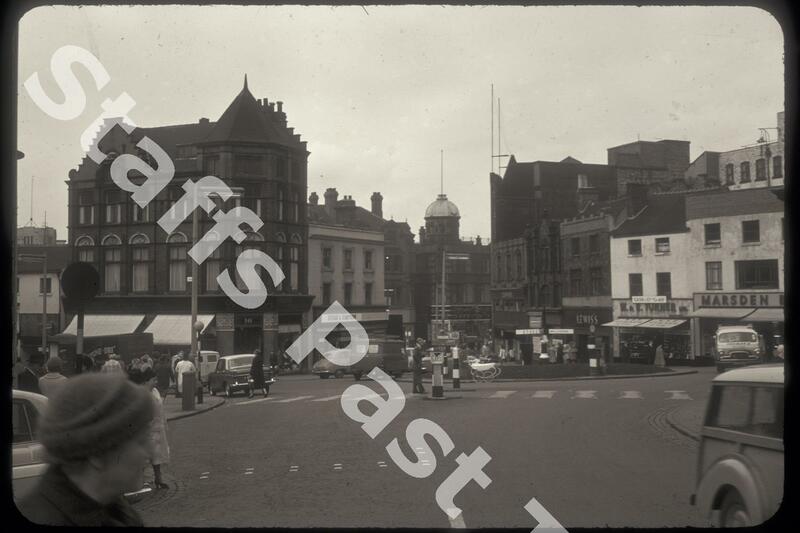 Description:Looking across the old Fountain Square roundabout towards Stafford Street. Piccadilly goes off to the left, with Batchelors (coats and costumes) shop on the corner. Next door is Stead & Simpson's shoe shop which leads round to the corner with Trinity Street. Further along, the dome in the centre of the photograph is on top of what was W Teeton's (wholesale and retail drapery, haberdashery and shoes) store. In 1963 the ground floor was occupied by a Dolcis shoe shop. On the right hand side is the original, 1934, Lewis's Department Store. 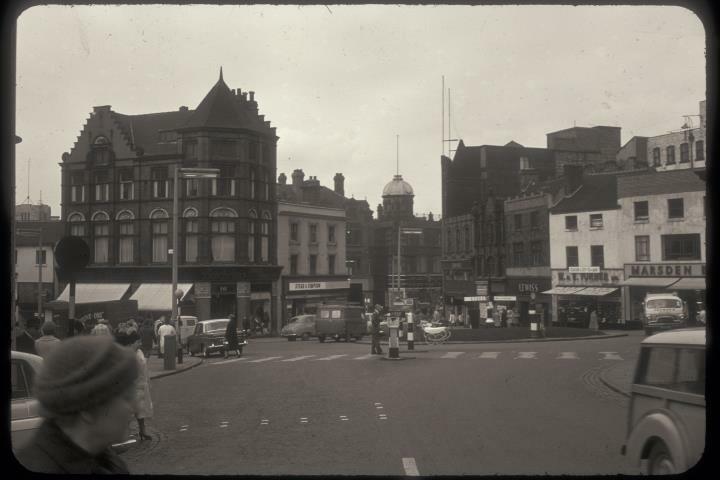 This was replaced in 1964 by a new store on the other side of Lamb Street, later part of the Potteries Shopping Centre. W & E Turner and Marsden's were shoe retailers and tailors and outfitters. These shops have been replaced with a more modern arcade. The roundabout, with signs to Stoke and Smallthorne, has been replaced by an arcade of shops.